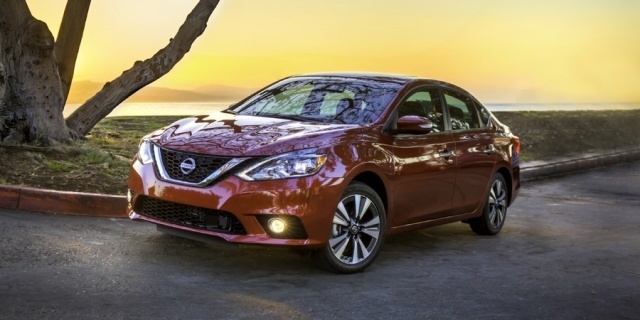 For 2018, the Nissan Sentra features a standard 5.0-inch color display with Streaming Audio via Bluetooth and Siri Eyes-Free, as well as a RearView Monitor. All but manual and NISMO models also receive Automatic Emergency Braking (AEB), while dual-zone automatic air con is now standard on SV an above trims, and adaptive cruise control on SR and SL models. SL models also feature the content of the former SL Premium Tech Package as standard, as does the NISMO trim. Get the best price for the Nissan Sentra of your choice from a dealer in your area. Request a price quote now.